Blackbird. Photo & text: David Secombe. 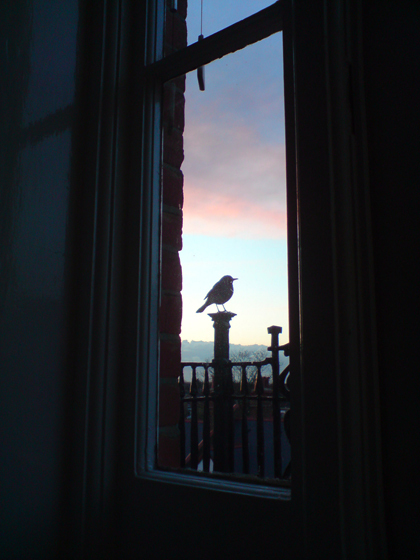 Posted: August 30, 2012 | Author: thelondoncolumn | Filed under: Wildlife | Comments Off on Blackbird. Photo & text: David Secombe. Stoke Newington. © David Secombe 2009. The London Column has been a little inactive this month, partially delinquency on the part of your correspondent and partially a feeling that the London Olympics had taken all the air out of the city; small, mordant observations about life in the ‘Great Wen’ seemed out of place in the midst of such frantic flag-waving. But, Paralympics notwithstanding, there is that ‘back to school’ feeling in the air: autumn is nearly upon us, the flags and bunting will fade and get wet, and it will soon be business as usual. 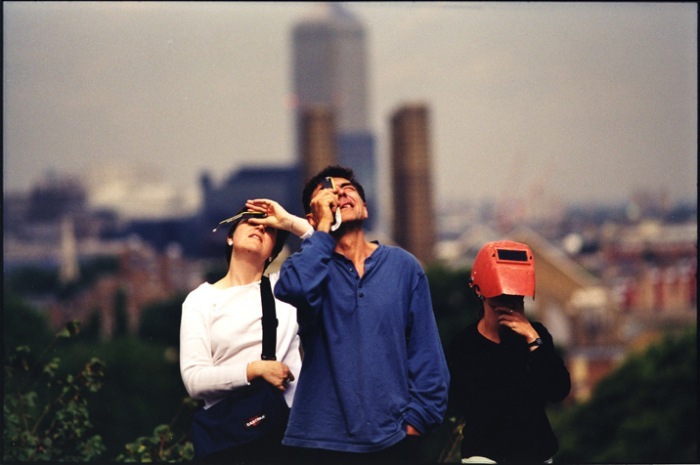 Solar eclipse watchers, Greenwich Park, 11 August 1999. © David Secombe. In Hackney, Mare Street was as busy as on any normal weekday. People were shuffling about with plastic carrier bags or talking on their phones, seemingly oblivious to the fact that the sun was about to be eclipsed. We were rushing to get our errands done in time to get to the park for the main event, the kids equipped with arcane little things they could look through that they’d been given at school two weeks before. The first glimmer of what was coming was a strange, translucent-but-heavy quality to the air, as if it were turning into some kind of gel. It felt suddenly harder to move through it. Then the light began to go a bit greenish. Everything slowed down. When we got into London Fields, the park was thronged with people on the grass, some with picnics, and the weird green heaviness in the air intensified; it was like being in a fishbowl. At the height of the eclipse, the park and the pub and all the people were as if viewed through a thick glass coffee table. It was very strange. But the utter incongruity of the street scene – lorries and buses seeming to wend their way painfully through unfamiliar, viscous air – was never matched once we were in the park. Cafe, Clapham Common. 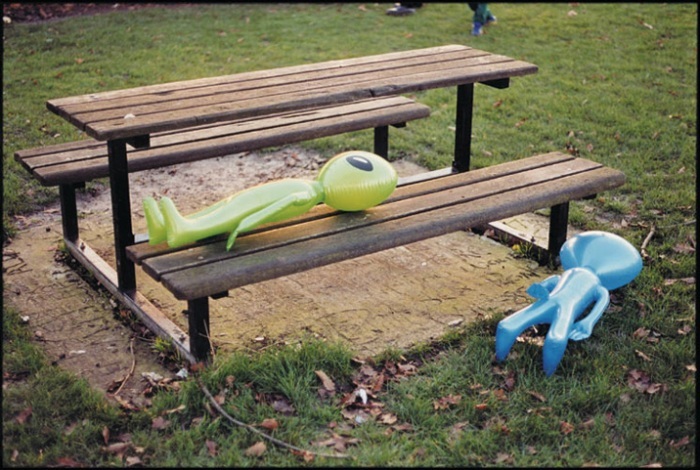 © David Secombe 1998. The years after WW2 heralded a new spirit of optimism and national confidence in Britain. Consumer culture became king and as a symbol of this progress and prosperity a new Contemporary style dominated architecture and design through the 50s and into the 60s. This was a fresh style moving on from the minimalist rigours of the Modernist movement. It represented a new vibrancy with materials like Formica, leatherette chrome and plastic coming to the fore. The ‘streamlining’ cult was especially evident in kitchen interiors and the functional spaces of cafes. The positivity of an age created new tastes and trends, with the cafe’s Italian styling a ubiquitous cheery symbol of national regeneration and outward lookingness. But today you have to look harder than ever to find decent, intact cafes with classic Formica tables, lino floors, proper seats and small cabinets of biscuits and crusty rolls. Cafe family owners are nearing retirement age and the children don’t want to take over the business. Also many leases are coming to an end for the central London cafes and the resale value of cafe buildings in the property boom is too vast to ignore. Too many have been replaced and refitted with ghastly plastic moulded interiors devoid of atmosphere. The cafe on Windmill Drive, on the southern side of Clapham Common, was a nice example of the sort of cheerful yet lightly-modernist eaterie so fondly described by Classic Cafes: such establishments are a throwback to a simpler time and are now as rare and threatened as the Edwardian dining rooms the cafes often replaced. This particular cafe attracted a splendid diversity of characters and had its own particular eco-system, by virtue of its location in the middle of the Common. I find myself using the past tense when describing it, as it is many years since I last visited – and a year is a long time in London. 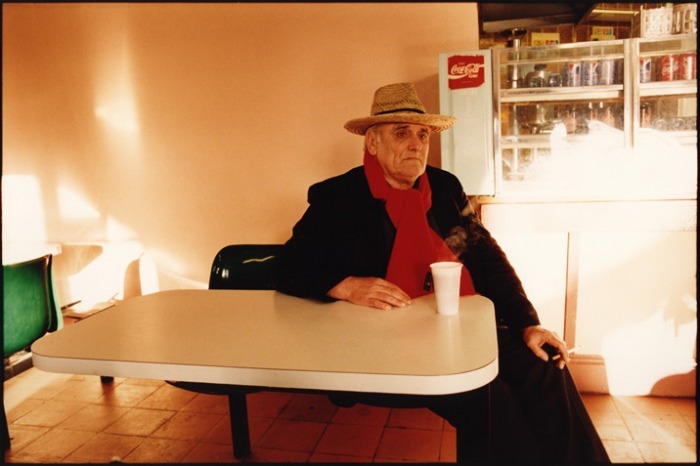 The gentleman in the photo above, who posed so gracefully for my camera, had been a Sunday morning regular for many years – but I don’t know whether I’d find him or the Formica in situ today, and I don’t want to go there to find out. I fear to return for what I might find. Brockwell Park. 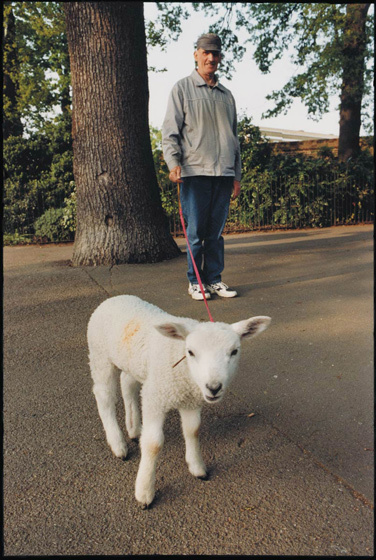 © David Secombe 2000. … in London at the present moment is produced the very finest tattooing the world has ever seen; for Mr. Sutherland Macdonald, whilst in the Royal Engineers, used often to watch the men working with their roughly made needles in the barrack-room, and having always had a taste for figure and landscape painting, he was at last induced to give his attention to tattooing, with the result that in a few years’ time he has not only equalled the work done by the Japanese, but has even excelled them. In Macdonald’s albums we find drawings and paintings gathered from all quarters of the globe, and of all and every kind, quaint, humorous, and pathetic, but each one specially selected for the purpose of being reproduced by the tattooing needles, and in more than one instance the copyright of some particularly striking picture has actually been purchased outright, so that no one but the wealthier patrons of [MacDonald’s] Jermyn Street studio shall have the use of them. Turning over the leaves, we notice, amongst other quaint designs at this moment adorning the bodies of some of our best known society men, three five-pound notes, full size, on which, perhaps, the owner can “raise the wind,” if at any time short of a cab-fare, by placing himself in temporary pawn; a fox hunt in full cry, horses and their scarlet-coated riders, with a very level pack of hounds careering down the owners back in wild pursuit of a “little red rascal,” racing for his life; whilst on more than plucky individual, who rumour says has an extremely tender epidermis, not content with a handsome pair of dark blue socks with scarlet “clocks” on his feet, has lately been adorned with all manner of strange designs, from his neck down to the top of the socks, and this at quite a fabulous price, when we bear in mind the length of time it must have taken to carry out such a large order. Greenwich Park. Photo © David Secombe, 1998. When a man’s whole existence has resolved itself into hunting up strange people and poking his nose into queer nooks and corners, he has a sorry time of it in London during August; for, as a rule, all the funny folks have gone out of town, and the queer nooks and corners are howling wildernesses. There is always, of course, a sort of borderland, if he can only find it out, some peculiar people who never go out of town, some strange localities which are still haunted by them; only he has to find them out – people and places – for it is so universally allowed nowadays that all genteel people must be out of London in August . . . The Rev. Davies’s observation has acquired a new significance during the 2012 Olympic Games, as the Olympiad has driven a significant number of full-time Londoners into temporary exile. So this week on The London Column we offer a brisk tour of some of the quieter corners of London parks in the company of those Londoners who didn’t make it out of town and who haven’t made it on to a corporate hospitality list.